When I first started working for NDCS Cymru in 2008, there were mixed feelings as the Welsh Government vowed to change the way educational support is planned for learners with additional needs. What we didn’t know then was that the Welsh Government was still a long way off making any change to the law… 8 years down the line and the reforms are still in progress, having been through numerous changes along the way. Still, there’s the same sense of mixed emotion. There is excitement as we hope to overcome the flaws of the current system. But there’s also concern that the new system could come with a new set of flaws – in particular, a difficulty in accessing assessments by specialist professionals like Teachers of the Deaf. Lobbying on the reforms has been a long rollercoaster ride with the Welsh Government’s proposed changes taking many twists and turns. In 2009, I founded a lobbying group with a number of other charities, called TSANA (Third Sector Additional Needs Alliance). Through this group, we’ve given evidence to the Welsh Assembly on their proposals. We’ve also been part of two Welsh Government advisory groups, enabling us to make the needs of deaf learners known. TSANA and NDCS campaigners lobbied hard against a proposal to restrict the right to appeal to the education tribunal. The proposal would’ve left many deaf learners in Wales unable to seek an independent challenge to important decisions about their educational support. As part of this lobby, more than 100 NDCS supporters wrote to the Welsh Government to call for the restriction to be rejected. It was dropped. Under current proposals, all families will ultimately have the right to appeal against decisions on a learner’s support needs. While there are many promising aspects to the latest proposals, NDCS Cymru still has serious reservations about how the system will work in practice. The good news is that, after giving evidence with TSANA to the Assembly’s Children, Young People and Education Committee, the Committee has urged the Welsh Government to address many of our key concerns and suggestions. We’ve also been part of a Welsh Government advisory group, where we have been able to talk to key officials about these issues. The Welsh Government wants existing Statements and Individual Education Plans (IEPs) to be replaced by an Individual Development Plan (IDP). IDPs will be a legal document setting out a learner’s support needs. IDPs will be available to learners with additional needs aged 0-16, as well as those aged 16-25 in further education. Currently, there are no changes to the law on planning for learner’s support needs. Some local authorities have been offering IDPs instead of Statements. However, IDPs do not currently have the same legal status as a Statement and families remain entitled to request a Statement. Following the election on May 5, a new Welsh Government has been formed. First Minister Carwyn Jones has already identified that additional learning needs will be one of his Government’s first priorities. However, there is still much work for the Assembly to do before we see any changes in law. What will be our Next Steps? The new Code of Practice to make it clear that deaf learners are eligible for an IDP and the requirement to access specialist professionals, such as Teachers of the Deaf. A standard format for the IDP, containing clear information on a learner’s support needs. More detail on how the new system will work for deaf learners outside of the school setting (i.e. pre-schoolers and those in further education). Watch this space for more details on how you can get involved in making sure these changes will work for deaf learners – we will need your help! Welsh Assembly elections – What happened? On Thursday 5 May 2016, 60 Assembly Members were elected to the National Assembly for Wales. 40 Assembly Members represent constituencies like Bridgend or Wrexham and 20 Assembly Members represent bigger areas called regions, like North Wales or South East Wales. In the election no political party got more than half of the seats in the Assembly. This has made choosing a new First Minister, and therefore a new Welsh Government, very difficult. Although the election happened a week ago, we are still waiting for a Government to be formed. Assembly Members have until the 2 June 2016 to decide on a First Minister and Government or a new election will be held. The Welsh Government is usually made up of Assembly Members from the party with the most seats in the Assembly. In this election that would be Labour. Sometimes, when A party doesn’t have more than half of the seats in the Assembly they will work with another party to form a coalition. This has happened before at the Welsh Assembly. Once we have a Welsh Government their job will be to propose policy and laws and it is responsible for making sure that they are put in to practice. You can read more about the work they do on their website. The National Assembly for Wales is what we call all 60 Members if the Assembly. They represent everyone in Wales. The Assembly’s role is to make the laws for Wales and to make sure that the Welsh Government is doing a good job by scrutinising their work. We don’t know when the new Government will be chosen. However, once a Government is formed we will work hard to influence them to make sure that their policies, laws and any guidance they give to public bodies, like local councils, give the best deal for deaf children, young people and their families. Getting the educational environment right. Whilst we wait for our new Government we are continuing to work with civil servants to support changes to the way additional learning needs are identified and planned for. Deafness is an additional learning need. We are also working with civil servants to influence changes to what is taught in school and how this is examined. You can find out more about the National Assembly for Wales on their website. Once a Government has been chosen you can find out about the Ministers on the Welsh Government’s website. 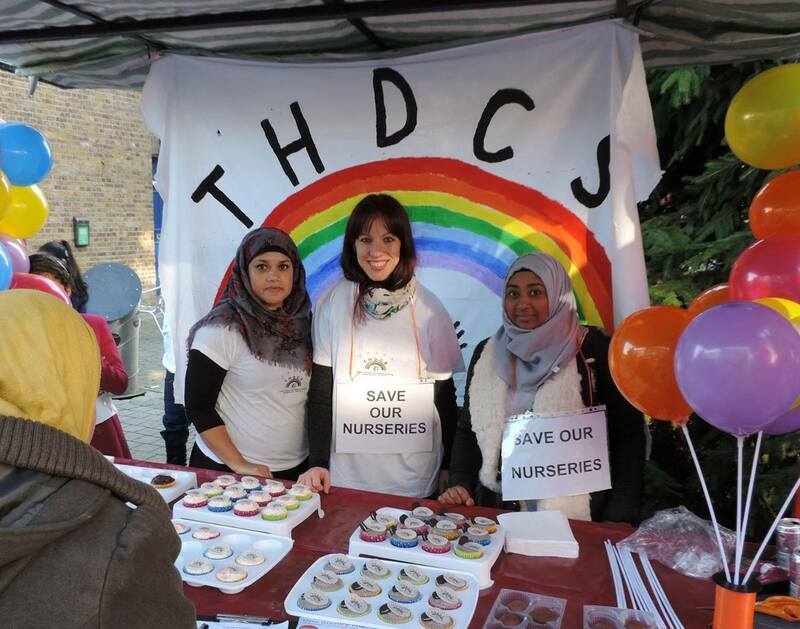 What does the reshuffle mean for deaf children? With Jeremy Hunt remaining as Health Secretary, the headline-grabbing Cabinet move announced yesterday for deaf children was in Education. Michael Gove, the Secretary of State, was replaced by Nicky Morgan. The big question is what this might mean for deaf children? We are unaware of any personal connection that Morgan has to deafness, whereas Gove had a deaf adoptive sister growing up and a mother who was a Teacher of the Deaf. 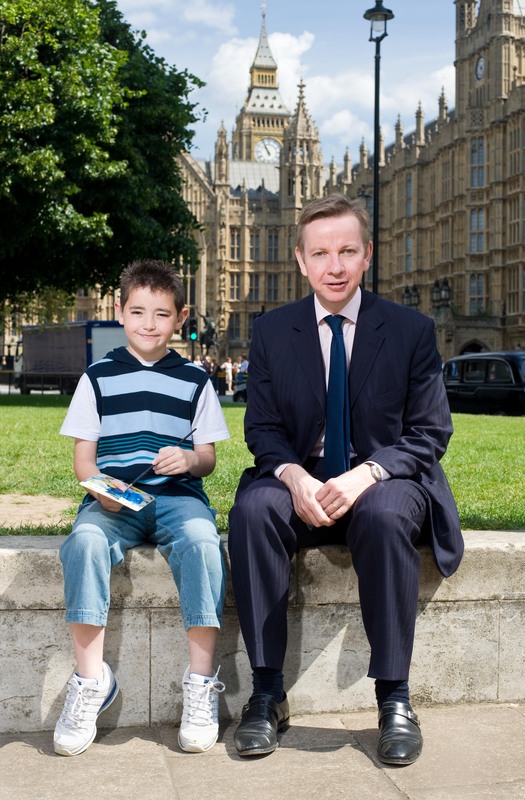 This meant that Gove always had some interest and familiarity in the issue of childhood deafness. Morgan has previously asked questions of ministers on deaf issues, but otherwise there is a question mark over her familiarity with deafness. What can we expect from the Department for Education moving forward? There will be a continued focus on SEN reform. There are positive intentions here, but will it lead to better outcomes for deaf children? We are concerned it won’t unless there is a proper focus on accountability within the system. We can’t ignore also the impact of cuts. Through our Stolen Futures campaign, we have interacted frequently with local government. Too often, cuts to services are happening at a local level. The Department for Education have said that they have protected the budget, but it’s clear that this hasn’t been backed up by action. Over the past few years, we have seen a trend of improving attainment for deaf children and young people. With 43% of deaf children achieving five good GCSEs compared to 70% of children with no identified special education needs, there is still a lot that needs to be done. Action is still needed from the government. Let’s hope Nicky Morgan can deliver. How can Local Government deliver for Deaf Children? As we take in the results of the local elections, campaign groups including deaf children, young people and parents will be considering how best to engage with local politicians and local political parties. We know that, despite deafness not being a learning disability, the attainment gap between deaf and children with no identified Special Educational Needs (SEN) is large – with a 28% difference in those who achieve 5 GCSEs between A*-C including English and Maths – and whilst over time this gap is narrowing, closing the gap remains one of the key priorities for local areas, schools and health providers. There are, however, challenges. Local politicians may feel disempowered in an education system that has recently favoured greater independence for schools in the way they run and deliver services, and in a system where the impact of proposed changes to the SEN system have been less than clear. Whilst councillors may have every best intention to make an impact, it may not always be clear to them how best to do so. So what are the most important steps that campaign groups, parents and children can take to close the gap between deaf children and non-deaf children? Local politicians should begin by gathering more information to find out exactly what the issues are in their area. What does the gap look like in their local area? What support already exists out there? In what areas is our local authority failing deaf children, and can we look at best practice elsewhere to improve the way we allocate our resources? How do we find the money to plug the gap? What powers do local authorities have to deal with these challenges? As a campaigner myself, I know full well that it is often when local campaign groups are quick enough to take the initiative, to do research themselves and put forward concrete recommendations that the most effective kind of influencing happens. Parents getting in touch with local representatives, identifying problems that they have encountered first hand, sharing their story, and offering concrete solutions makes it very difficult for the representatives to say no. This week, we have a batch of brand new councillors who have never been local politicians before in a system that has changed a lot in recent years. For example, SEN reform – to be implemented later this year – presents great challenges as well as opportunities for local authorities and campaigners alike. Local authorities will be able to consider granting children personal budgets to meet their needs – balancing this with the need to allocate resources fairly in a world of dwindling resources, and they will also need to think about ways to make the most impact with less resource available. With a system such as this, a vocal, active parent-led campaign group could be very effective in securing improved outcomes and increased support for deaf children – and may well make a difference. Joining with other parents, as you can through the NDCS Campaigns Network, will amplify your voice going forward. What local authorities can best do to support deaf children will vary depending on the needs of the child(ren) involved, the local area itself and what is already available in the local area – all in a rapidly changing local government and public sector landscape. Because of this, good local politicians will understand that part of their job is to make listening and responding to interested groups easier as well as building influence with stakeholders outside of local authorities in the health and schools sector, instead of adopting a ‘top-down’ approach and presumption of what is best for children without engagement. It is a partnership with deaf children, their parents and advocates that will in the long-term enable local politicians to most effectively narrow and then close the attainment gap. What type of parent are you – Prospector, Settler or Pioneer? I have been working in the area of special educational needs (SEN) for over 25 years and had never contemplated trying to categorise parents in order to change their behaviour and develop or implement policy. However this is what a firm of consultants, employed by Wirral Council to find ways of reducing spending on the transport of children with special educational needs, has suggested. The consultants advise the Council that “understanding what drives customer’s’ behaviour will impact on your ability to change behaviour”. The consultants have used a “value modes” methodology to gain a greater understanding of parents of children with SEN. Using this methodology they identified three broad types of parent: the “prospector”, the “settler” and the “pioneer”. Find out which you are here. Was it really necessary to categorise parents in this way? The consultants completed 352 interviews with parents about transport and this seemed to provide a reasonably sound information base to consider options. But did it really matter if parents who shared a common view on an aspect of SEN transport were “prospectors” or “pioneers”? Is Brian Lamb OBE now kicking himself for not using the “value modes” methodology during the Lamb inquiry into “SEN and Parental Confidence” for the government. Is it really appropriate for a local authority to “change” the behaviour of parents with SEN as suggested in the consultant’s report? I am aware of such approaches being used in other contexts such as a campaign to promote healthier lifestyles. But is SEN the right context? Government policy is urging local authorities to work in partnership and in collaboration with parents of children with SEN. It does not mention changing their behaviour. How reliable is the categorisation in terms of ease of passage of the changes proposed by the consultants? For example the report explained that “to make a real step change the Council should take a bolder approach to reducing the number of statemented children, using the single Education, Health and Care Plan as an opportunity”. Government ministers have given assurances that the introduction of the new Education, Health and Care Plans was not about reducing legal entitlements to support. So faced with such a controversial proposal, I wonder how “pioneers” in Wirral will respond. Will they display the “avoid conflict” behaviours anticipated from “pioneers” or is there within them a latent “settler” who will be “inflamed by threats”? And finally and most importantly, where was the focus on the needs of the child with SEN? The lengths the consultants went to consult parents was commendable (over 5,000 attempted phone calls). However, I was surprised by the lack of analysis on the needs of the children. The focus should not be on the characteristics of parents and trying to use this to change their behaviour. Neither should it be on looking at comparative data and simply concluding that because statementing rates are higher in Wirral can children’s needs be best met by removing statutory entitlements. Parents are important, but my overriding concern is that the focus must be on the children and what they need to fully participate and make good progress in their education.